Embrace the stylish side of the outdoors in the Nobis Men's Heritage Parka. Packing in lightweight warmth, weather protection, and a modern, utilitarian design, the Heritage Parka for men is made of durable crosshatch fabric with a smooth nylon lining. 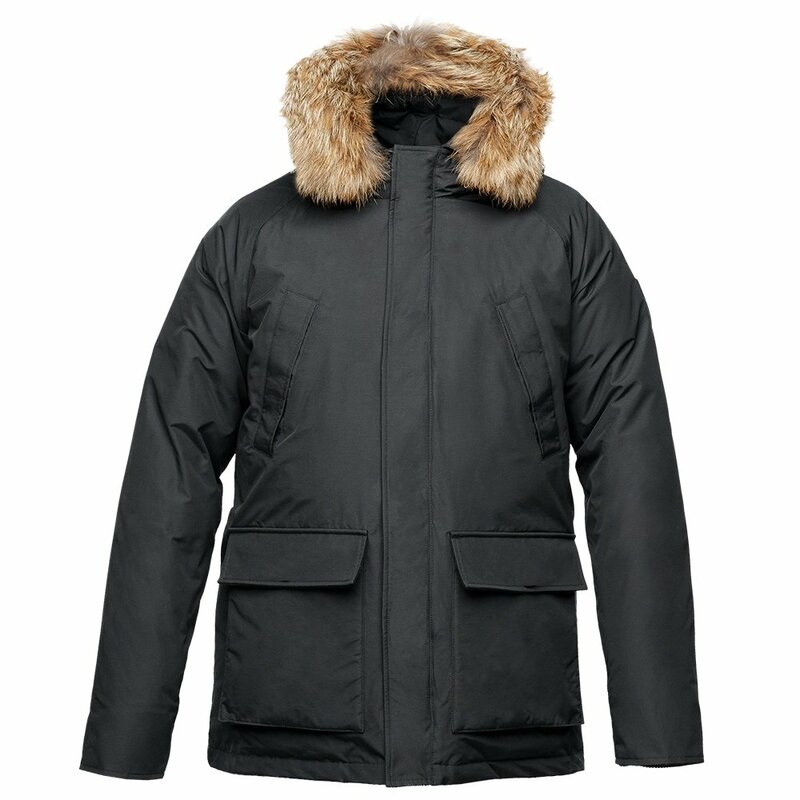 It has 650-fill duck down insulation--nature's finest warmth--plus it's seam-taped to lock out the cold and wet. The jacket includes five convenient pockets, wrist gaiters, and an adjustable drawcord at the waist to cinch up the right fit.